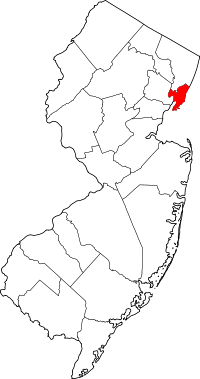 In the state of New Jersey, birth, death, and marriage certificates, along with divorce decrees, can usually be found at the municipality where the event originally took place. However in November of 2011, birth certificates issued by the Jersey City/Hudson County Office of Vital Statistics were no longer considered valid ID. They can no longer be used to obtain a passport, may not be accepted by the Motor Vehicle Commission (depending on the date of birth), and will not be accepted by other government agencies. Visit the state's website for information on how to replace a birth certificate or to order any other vital records.